"Lessons Learned from the Last Two Decades of Emerging Contaminants"
David L. Sedlak "Lessons Learned from the Last Two Decades of Emerging Contaminants"
Annegaaike Leopold "Research to policy on emerging contaminants - the EU perspective"
Edward Topp "Environmental Dimension of Antimicrobial Resistance Development"
Virginia Baker "What’s in our water, and what can we do about it? Science at the interface of policy, community and sustainable change. " This symposium has always focussed on micropollutants such as endocrine disrupting chemicals, pharmaceuticals and personal care products in the environment, with a view to share the latest research and development towards minimising the impact of micropollutants and managing their ecological risks to the environment. Since 2004, the symposium has been held every three years as an activity of the special interest group on micropollutants within the Society SETAC Australasia (formerly Australasian Society for Ecotoxicology). During this period, the series has been able to attract world authorities as plenary speakers on this topic, including Drs Susan Jobling (UK), Dana Kolpin (USA), Andreas Kortenkamp (UK), Bent Halling Sorenson (Denmark), Shane Snyder (USA), Taisen Iguchi (Japan), Larry Barber (USA), Urs Von Gunten (Switzerland) and John Stark (USA). This successful WiOW series has always been attended by a diverse range of audiences drawn from researchers, academia, government, industry, regulators and policy makers. Some notable achievements of the series include “The Black Mountain Declaration” in 2007 on the issue of EDCs and workshop with policy makers from across Australia through the National Water Commission. The 5th symposium in this series, WiOW-2016/EmCon2016 was a huge success, which was held in Sydney together with EmCon2016, drawing a strong international interest. 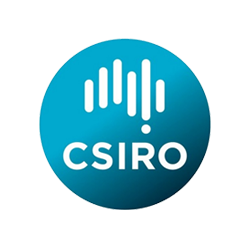 The 6th Symposium in the series will build on the momentum and will be held in Canberra (at CSIRO Discovery Centre) under the auspices of SETAC Australasia. Access all abstracts from the 2018 WiOW Symposium. Dr David Sedlak's lecture on the chemistry of drinking water. The Black Mountain Declaration on Endocrine Disrupting Chemicals in Australian Waters (2007). All Platform presenters are required to register and pay by 15 August 2018.